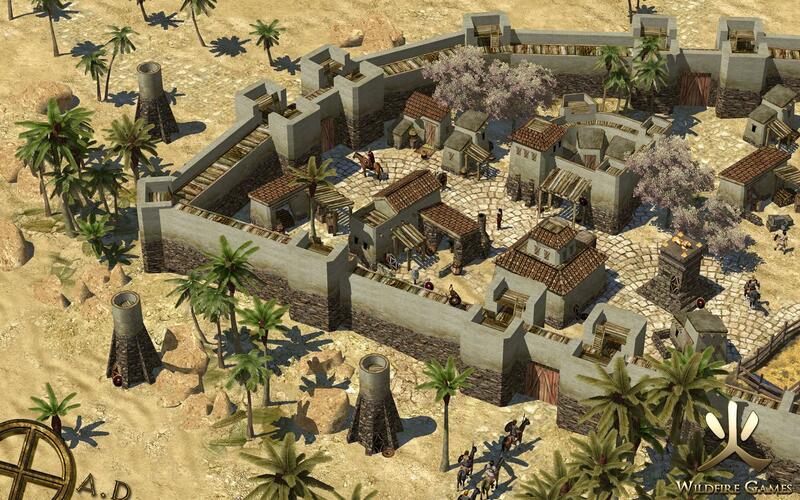 0 A.D. is a free, open-source, cross-platform real-time strategy (RTS) game of ancient warfare. It's a historically-based war/economy game that allows players to relive or rewrite the history of twelve ancient civilizations, from Iberia to Mauryan India, each depicted at their peak of economic growth and military prowess. Developed using Pyrogenesis, a ground-breaking new game engine custom-built to suit this project, 0 A.D. will give players a rich and entertaining real-time gaming experience. Very nice! Do I spy a shrine type building? An Iberian tribe gains a foothold in wild desert country. You see here some new Iberian buildings and walls. This is a special mid-month screenshot for all those fans with widescreen LCD monitors.